Canada Poll Is a Go – Thanks to You! Poll Results to Come Early Next Week – In Time to Keep the Pressure On! 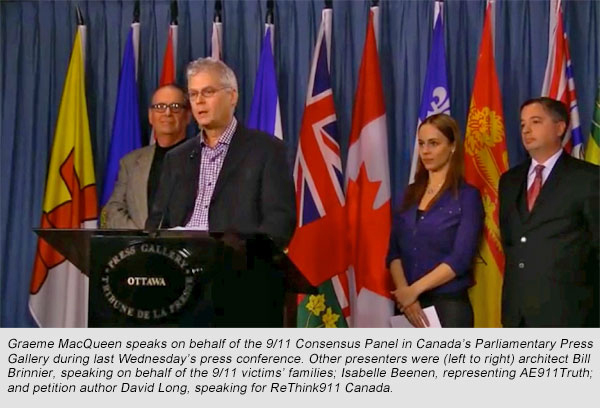 AE911Truth is delighted to announce that we reached our fundraising goal for the national poll to gauge Canadians’ views on a parliamentary review of 9/11. On behalf of the entire AE911Truth team, we would like to thank the hundreds of you who rose to the occasion and made this poll possible. Our ability to respond quickly to emerging situations and muster the necessary resources from supporters like you is key to shifting public opinion toward a new 9/11 investigation. We would also like to thank all of the hardworking activists who have contributed their time and tireless energy toward this effort. YouGov started conducting the poll yesterday. We look forward to sharing the results with you – and the world! – next week. Stay tuned!